While timber harvested from natural tropical forests is expected to reach “peak production” in the coming decades, the area occupied by tree plantations to supply future wood demand is concurrently increasing. According to the Food and Agriculture Organization of the United Nations (FAO), tree plantations expanded by about 5 million hectares each year from 2000 to 2010, and expansion of both large- and small-scale tree plantations is underway in many tropical countries. In many cases, tree plantations are being established on sites that have been deforested for decades, or in places that do not naturally support forest. While tropical deforestation is almost invariably perceived as negative by the public, what about when “no trees” give way to “lots of trees”? Numerous studies on the impacts of tree plantations have focused on environmental issues yet far fewer have dealt with people’s perceptions about the emergence of these novel ecosystems which not always are well received by the public. Two recent studies from South America shed some light on this issue. In Uruguay, land-use change from cattle raising in rural grasslands to large-scale plantations of non-native pines and eucalypts has been dramatic over the last two decades. In an article published in Forest Policy and Economics, Vihervaara et al. (2012) assessed perceptions by interviewing local people living in the countryside and in towns near the plantations. Seventy percent of the interviewees considered the expansion of tree plantations positive, and had positive attitudes towards the forest industry. There was a significant gender difference in perceptions: male respondents viewed plantations more favorably than did women (85% vs. 63%). Concerns about the environmental impact of plantations was split: 47% were worried about impacts on water and soils, but 41% were only slightly or not at all worried. About one-third of those living in the countryside considered the impacts on the landscape to be quite or very negative, while about half of those living in rural towns shared the same perception. Although the sample population was randomly selected in local communities, the study did not report whether any interviewees were associated with plantation forestry activities, which may have introduced some bias into the results. In Chile, plantations of the non-native pine Pinus radiata started to develop during the 1960s as a way to substitute timber harvesting from natural forests. In their perceptions study published in Revista Chilena de Historia Natural, Püschel-Hoeneisen and Simonetti (2012) reported that, even though Chileans put natural ecosystems at the top of their preferences and do not necessarily agree with having exotic pine plantations across the landscape, they nevertheless recognize that plantations can have a conservation value. Further surveys showed that people would be willing to pay more for forest products coming from these plantations if they were proven to contribute to biodiversity conservation. In fact, 90% of respondents preferred a landscape where exotic pine plantations had undergrowth—thus harboring more biodiversity—than those without. In contrast to the study from Uruguay, people in rural areas had no major opinions when asked whether plantations were a threat to biodiversity, while urbanites from Santiago did not necessarily consider pine plantations as environmentally unfriendly. Why are these two studies important? As large-scale tree plantations have expanded in the past fifty years, they have often developed a bad reputation. Some plantations have been established in the wrong place, with the wrong plant material, disregarding best management practices and available scientific knowledge and ignoring social concerns. 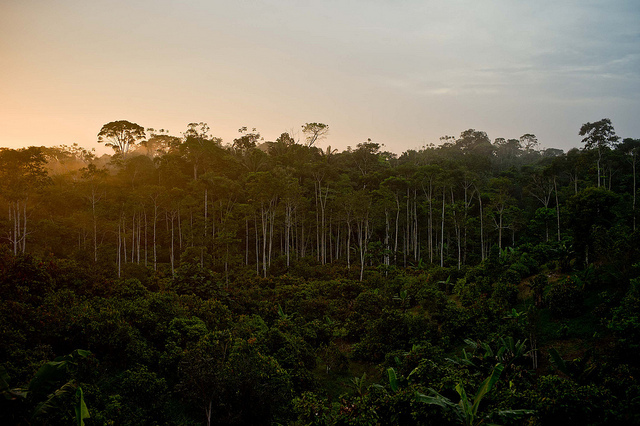 In some countries, local people have even been displaced by corporate forestry. Yet the ever growing and competing needs for food, fuel and fibre—in many cases at the expense of tropical forest cover—argues in favour of the establishment of intensively managed tree plantations with high productivity per unit of land, provided environmental and social safeguards are respected. Although the application of voluntary codes of plantation good practice certainly help to mitigate both social and environmental impacts, perhaps what has been missing is more research aimed at understanding societal acceptance and consumer preference for plantation forests and their products— issues that are not often made explicit in management guidelines and certification standards. The reports from Uruguay and Chile are preliminary, location-specific and based on different assumptions and research methods. But they should generate broader interest by researchers, managers and policy makers on how to account for, in credible and legitimate ways, societal views about the establishment and management of large-scale tree plantations. This will be increasingly important if we want tree plantations to seriously contribute in reducing unsustainable timber harvesting from tropical forests. Püschel-Hoeneisen N and Simonetti JA. 2012. Forested habitat preferences by Chilean citizens: Implications for biodiversity conservation in Pinus radiata plantations. Revista Chilena de Historia Natural 85:161–169. Vihervaara P, Marjokorpi A, Kumpula T, Walls M and Kamppinen M. 2012. Ecosystem services of fast-growing tree plantations: A case study on integrating social valuations with land-use changes in Uruguay. Forest Policy and Economics 14:58–68.